Mismanaging your company's payroll is one of the biggest mistakes you can make, leading to dissatisfied employees and potential legal trouble. By streamlining your payroll service to avoid critical errors, you can keep your business in line for growth. Take the time to analyze your approach to payroll, and make sure that you are avoiding these common mistakes. Remember that traditional employees and independent contractors need to be classified differently to ensure proper taxation and payroll processing. If you have international employees, you will need to handle their payments differently as well, so look into their country's payment laws. Miscalculating overtime—or forgetting to include it altogether—could violate labor laws, so be sure that you are double checking whether certain employees went over hours. There are payroll companies for small business available to help you avoid this oversight. Nothing is worse than not receiving your paycheck when you expect it. Not only will this put your workers in a financial bind, but it will color their opinion of you and the company. Late payments are irresponsible and can harm employee retention, so be sure to always make payroll a priority. Failing to keep thorough payroll records or skipping this step can also lead to legal trouble. You need to be able to cross check employee payment records with their individual pay stubs to spot errors. It is also important for calculating how much of your budget should be allocated for employee salaries. If your payroll is happening completely in-house, you are leaving too much room for error. HR departments are busy, so it can be easy to overlook simple mistakes. This is where payroll companies for small business come in. By choosing payroll outsourcing, you can leave this important job to the professionals. Especially when small businesses are just starting off, one of the main potential problems they face is reliable payroll processing. And any errors can by complex, risky, and expensive. By outsourcing your payroll to a professional service, you can keep this part of your budget in line. This way, you can focus on the other operations of your business while knowing that your employees are getting paid in full and on time. As a company grows, it becomes necessary to find a permanent solution to payroll processing. With the many details, regulations, procedures, and filings involved with payroll processing, delegating payroll responsibilities to an existing employee, or trying to take care of it yourself, becomes an unsatisfactory option. Some business owners or managers try to solve the payroll puzzle by hiring an in-house payroll clerk. This solution is probably better than trying to manage payroll yourself, but it has some serious drawbacks. When you hire a payroll clerk, you take on numerous new overhead costs. First off, there's the cost of hiring, which includes advertising the job, reading through resumes, interviewing, and getting your new employee integrated in your payroll system. There's training to consider, which could involve off-site training, courses, and conferences to get your new employee up-to-speed with current payroll regulations. Your new payroll clerk needs a place to work, equipment, and software. Additionally, you'll need to consider the costs you incur with a new employee: benefits, insurance premiums, your portion of CPP contributions and EI premiums, and paid vacation and sick days. Payroll never sleeps. Your employees need to get paid, and your government remittances must be submitted continually, whether or not your payroll clerk gets sick, takes a vacation, or needs personal time away from the office. Remittances must be sent in on time if your company is going to avoid fines levied by the CRA, and a single payroll clerk managing payroll processing for a whole company may have a hard time meeting every single deadline. Outsourced payroll processing, on the other hand, can manage payroll no matter what. They can guarantee that everything will be done in a timely fashion, and they don't require vacation days or sick leave. A good payroll clerk may get a firm grasp on everything it takes to manage your payroll effectively. Getting to this point takes time and consistent effort because payroll is complicated, and the regulations change from year to year. What will you do when your expensive, painstakingly trained payroll clerk gives notice and leaves your firm? You'll be back at square one, looking for a new employee who doesn't understand the ins and outs of your company and may require substantial training before you can feel comfortable with the state of your payroll again. These problems can be avoided by turning your payroll processing over to an outsourced payroll processing company rather than hiring your own clerk. With outsourced payroll processing, you don't have to worry about adding to your HR overhead costs. Payroll won't require any square footage of your office space, it won't require that you buy any new equipment or specialized software, and you won't have to pay additional employee benefits. You also won't have to worry about the state of your payroll when someone wants to take a vacation. You'll just know that it always gets done faithfully, no matter who is in (or out) of the office. Finally, there are no turnover worries when it comes to outsourced payroll processing. Although your contact at the outsourced payroll processing company could change from time to time, your payroll will always be handled professionally and in a timely manner. Compared with outsourced payroll processing, hiring your own in-house payroll clerk may be the more expensive option. If you were hoping that cutting cheques would be the sum total of your payroll responsibilities, you're in for a surprise. Canadian payroll is a bit more complicated than that. It can be challenging for US-based companies to adapt to payroll methods and guidelines in Canada, since the laws and regulations are quite different. 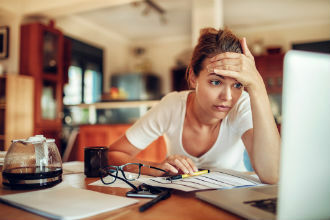 It can also be difficult for new small businesses to get the hang of payroll responsibilities, especially when they're dealing with all the other details of running a small business. To help you get your bearings, we've put together a short (but not comprehensive) list of payroll tasks that you'll be responsible for. Calculating deductions and benefits contributions is time-consuming and tedious because you have to calculate each employee's individual deductions depending on their wages and province of work. Once you've done all of this paperwork, however, you're not done. You still need to remit the deductions and contributions to up to three separate government agencies, which each have their own due dates. If the remittances are not submitted properly, you could be fined. Your ongoing payroll responsibilities should be accurate throughout the year, but at the end of the year, you're also charged with reporting to tax authorities about the filings made by your company. These filings are from both the employee and employer perspective of taxation. You must also fill out T4 forms for each of your employees with an understanding of how to report certain things like commission and non-taxable earnings. Payroll isn’t just paying someone an hourly wage x the hours they work. It’s much more complicated than that. There are taxable and non-taxable earnings, employer and employee benefit contributions, overtime, taxation maximums, vacation, and many, many more variations to consider. Add to that the fact that payroll legislation is a moving target and can change without notification. Managing payroll can be a confusing, time consuming task. Your employees expect that they are to be paid correctly and on time. A paycheque is at the core of why they are working for you and is continuing incentive for them to do their very best to keep your company productive. Not being able to provide a regular, correct pay or to answer their payroll questions correctly can cause any employee to become disgruntled. At The Payroll Edge, we can manage the above tasks for you and more. Our payroll experts are always on top of the latest tax-related legislations. They will field your employees' questions and guarantee that your payroll will be done accurately and on-time. In addition, we offer premium human resource services as well, which can lighten your load considerably. These services include workplace injury claims management; consultation for employee review, conduct, termination, and layoff; and employment agreements, which protect your from legal action. We know that you're an expert at what you do, but most likely, you're not a full-time payroll specialist. That's where we come in. 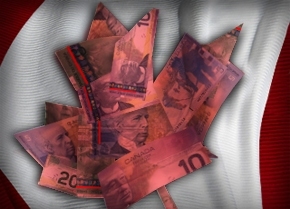 We have over 25 years of experience with Canadian payroll. We know the ins and outs of the Canadian payroll, and we process over 5,000 pay cheques each week for companies in all Canadian provinces. If you'd like to spend more time focusing on your business and less time dealing with tedious paperwork, give us a call. There's real peace of mind that comes with knowing that your payroll is always taken care of by experts. Instead of staying up late the night before payroll is due every couple of weeks, you can continue to focus on doing what you do best: running and growing your company. Many employers consider hiring a payroll service provider when they realize that their time and energy is better spent handling their areas of expertise. Small business owners wear many hats, but if you can delegate payroll to a service provider, you'll be able to focus on areas of your business where you can make a bigger difference. When searching for a payroll service provider to take over these responsibilities, look for a provider that exhibits the following four characteristics. The Payroll Edge is known for dependability. 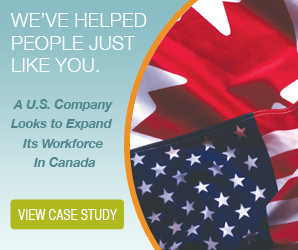 We process over 5,000 pay cheques every single week for Canadian firms. We've been doing this for over 25 years, so we know all about federal and provincial regulations and how to get your payroll done on time. In fact, we're so confident in our dependability that we guarantee that your payroll will be accurate and on time. 2. A Variety of Services. Not only do we guarantee your payroll to be on time and accurate, but we also offer a slew of other services. We are more than just a payroll calculator. We know that different companies require different services, so we offer several different packages. If you're looking for more than the basics, try our Premium Human Resource Solutions package. This package takes care of workplace injury claims, Ministry of Labour claims, and consultations for employee review, conduct, termination, and lay off. If you want to pick and choose your services, you can develop your own payroll package from our a-la-carte services. A great payroll service provider makes life easy for you. With The Payroll Edge, we send our clients a simple report outlining the exact pay and deductions for each person on your payroll. All you have to do is review and approve the report. If you find any details that need revisions, you let us know and then get back to work. 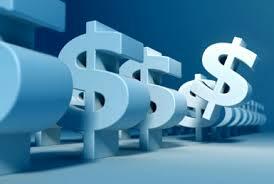 We handle all the details, such as direct deposits, tax deductions, remittances, and pay stubs. All you have to do is approve one report and pay one invoice. 4. Expertise with Government Agencies. Our years of experience have given us the ability to work with various government authorities. Many government officials view The Payroll Edge as a recognized authority from our past interactions with them. Therefore, we can handle any problems that arise quickly and smoothly. Our experience and knowledge of Canadian tax laws, combined with our relationships with others in the industry and in the government, are great assets to our clients. We take care of any inquiries or issues that arise, so you don't have to interface with the government agencies involved. By selecting a dependable payroll service that offers a variety of services, you won't have to spend time and energy taking care of payroll yourself. A payroll service provider that generates easy-to-use reports and handles interaction with government agencies will make your life easier. To find out how The Payroll Edge can help your company, contact us to speak with a representative.